Our customers tell us that we’re not like other dentists. They say we’re something a little bit special. Find out more about what makes us different and how we can help. A dentist committed to providing you with a friendly high-quality customer service. Your ideal partner to help you achieve your perfect smile. Nervous patients welcome, you'll find we can help you with our cosmetic treatments and to improve your smile in comfort and at ease. With our many years of dental experience and knowledge of the latest techniques your sure to get a great smile, just look at our awards and full range of treatments. Clearer images bringing greater clarity as to what is happening in your mouth. This makes diagnosing what is wrong and making sure to give you better dental care. You will find it difficult to find a dentist with as much investment in technology, training and education as us. Whether you're looking for white fillings to improve your smile, cosmetic treatments to change your gum line, dental implants to replace missing teeth or you just want to find a dentist able to offer general dental services then our full range of options, services and treatment are here to help. You can choose to pay as you go for your treatment or save even more money by becoming a member. At your first appointment, you will be given a written estimate of the cost and options for your treatment required, anything from full dentures to a dental bridge or orthodontics can have a payment plan. If you could benefit from spreading out the payments we have other options as well. Our customers tell us that we’re not like other dentists. They say we’re something a little bit special. So whether you are visiting our dental practice for dental treatments or beauty clinic in Uphall for wrinkle relaxation and dermal fillers we want you to feel relaxed and at home. 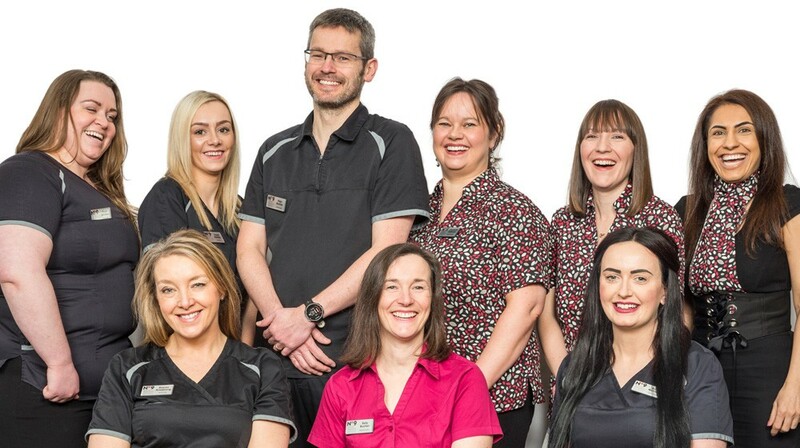 We are located approximately 12 miles West of Edinburgh and around 34 miles east of Glasgow and welcome patients looking for high quality dentistry from either location.